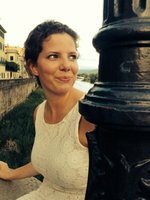 English girl living in Italy for a few months and working as an au pair. Outgoing and keen to meet people from around the world. ilonabushell hasn't logged any travels yet. ilonabushell hasn't been active in the wiki travel guide yet. Have you?